On Thursday the 13th of July, renowned literary critic, activist, Nobel Prize laureate and perpetual thorn in the side of the Chinese government Liu Xiaobo passed away in custody Following his death, the government led a huge censorship campaign, removing all but the most basic, perfunctory information about his death from the internet, but particularly from social media. Anything which mourned or memorialised his death in any way, however vague, was taken down, and continues to be. Both WeChat and Weibo have been so heavily censored that even the anglicised spelling of his given name is enough to warrant a takedown. Meanwhile, out in the real world, Liu's widow's house has been surrounded by plainclothes officers who are determined to keep reporters at bay. Germany, France, America, the UN and others are calling for China to allow her to leave the country, thus far to no avail. Controversial isn't even the word, and despite the government's best efforts, Chinese citizens are still finding ways to mourn Liu's death and celebrate his achievements. How, you ask? They've taken to Western social media platforms. Facebook, Twitter and Instagram have all lit up with images of an empty chair by the sea, affixed with the hashtag #withliuxiaobo. The locations and chairs vary, but the message remains the same, and it's turning into something of a global memorial movement. Participants from the Chinese mainland are taking a huge risk by involving themselves. Several people have already been detained for questioning since the movement started on Wednesday - seven days after his death (in Chinese tradition that's when the soul of the deceased returns to say final goodbyes). Many known associates of Liu are currently under heavy surveillance, but vigils are being organised all over the world via social media, some of them outside Chinese embassies. The authorities did not report that Liu was even in ill health until just two days before his death from multiple organ failure. Following his death, his family was pressured to scatter his ashes into the sea, forgoing any large scale funeral service or gravesite. 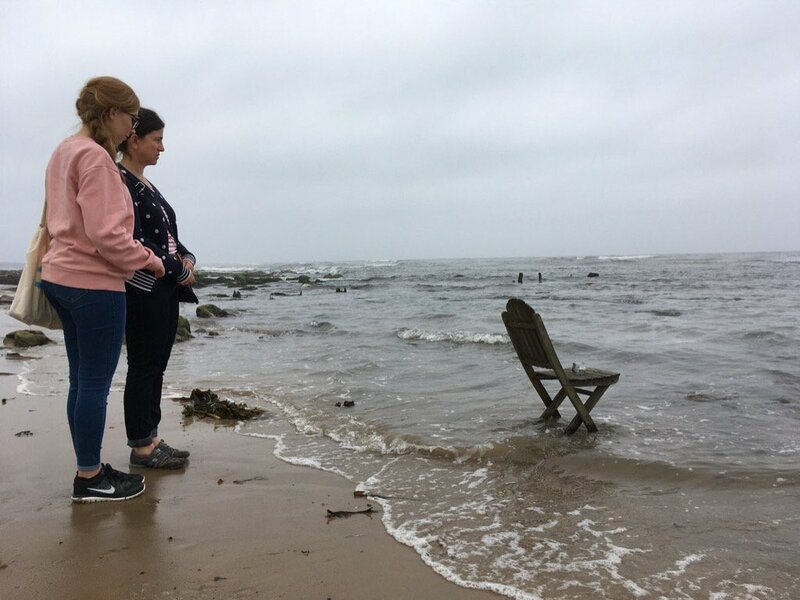 That's half the reason for the chair image, the sea represents the scattering, while the empty chair is a reference to the empty chair he left when he was not allowed to go to Oslo to accept his Nobel Peace Prize.